Hello, I'm Judith Goodfellow and Fine Fettle Fibres is my creative dream! I have been creative with yarn from an early age. I come from a family of needlewomen and my grandmother taught me to knit before I went to school. After 25 years as a healthcare professional, I knew I wanted a career change while I still had the time and energy to try other things, including starting my own creative business. I started making knitted accessories at home and selling them locally. As my business grew, I needed more space and when the possibility of a studio at Gallery 45 in Felton came up I jumped at the chance. With space to offer workshops and classes and, more recently, to sell knitting supplies, Fine Fettle Fibres began to take shape. Successful knitting starts with great yarn and I specialise in the very best British and Fair Trade yarns available. 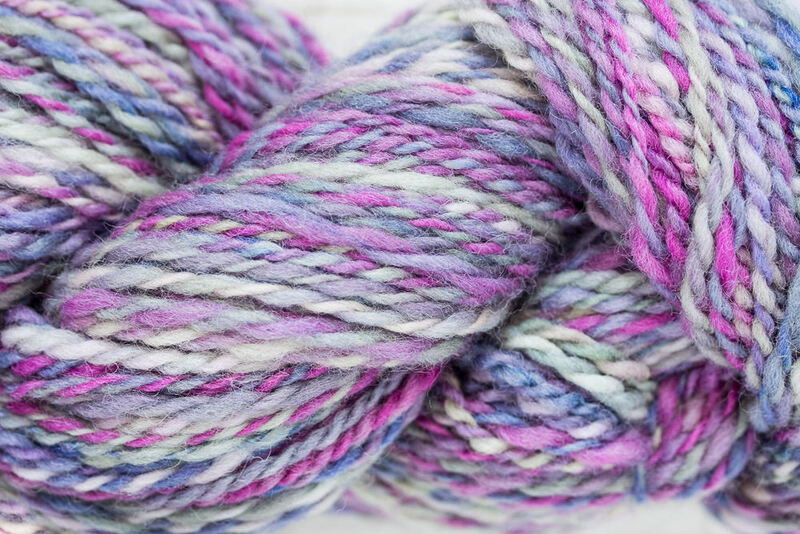 I prefer to find small suppliers whose products and business ethos complements mine and hope that, by offering yarns not readily available elsewhere in Northumberland, Fine Fettle Fibres can become a little haven for knitters living in, and visiting, our beautiful county. I hope you will find many things to inspire you in my online shop but, if you get the chance, do come and see me in my shop. As well as all the yarn, patterns, needles and notions available here, I also have a wide selection of buttons ranging from wooden ones made in the village to ceramic ones made by women as far apart as the Shetland Isles and the South African townships. Many of my hand-spun and hand-dyed yarns, and my hand-thrown ceramic yarn bowls, need to be seen and handled to be fully appreciated, as they are individually and lovingly created one-offs. A trip to my studio will also give you the chance to see samples of some of the lovely patterns I sell knitted up in my British and Fair-Trade yarns. Seeing the designs brought to life can be just the thing to get you feeling creative!